When you are a new RV owner, you will benefit a lot from keeping organized. Actually, even if you have owned an RV for years, it helps to have everything written down and planned out in advance. 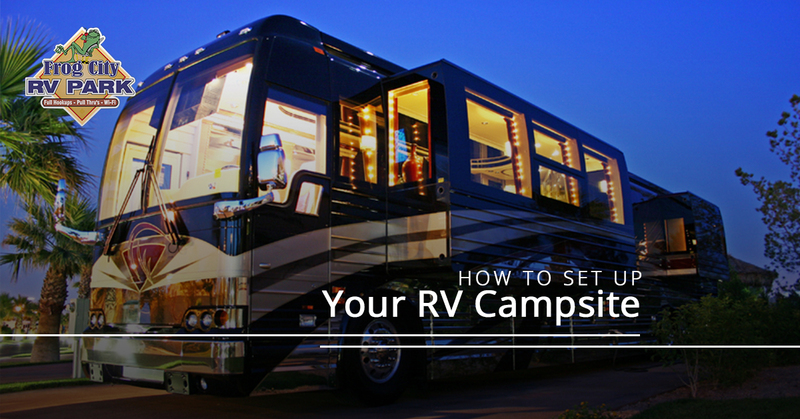 One list that is essential for newbies to the RV scene is steps to set up your RV campsite. The first few times you do this may be a bit of a scramble, but with the proper organization and the knowledge you need about your specific RV, you will come to easily set up your RV at new campsites. 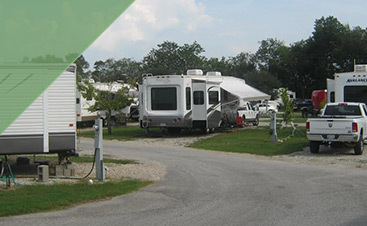 In this blog, we will go over the steps you need to go through in order to set up your RV at our RV campsite in Lafayette. Keep in mind that specific steps will vary according to your specific make and model of RV, but these general steps can serve as a guide for you. Fill your fresh water tank at the potable water station. Purchase firewood from the camp store. You can do this immediately or later, but the law dictates that you should not bring your own firewood. If you have extra wood, you can leave it for the next camper; please do not take it with you. Study your campsite before pulling your RV into it to ensure that you have it positioned optimally. Look for level ground, where the hookups are located, and any obstructions that may interfere with your roof or slideouts. Drive the RV onto the site with someone directing you to avoid an accident. Park the RV so that it is level from side to side. This may require you to use blocks under your RV wheels in order to make it level. They are available for purchase. You may also have a motorhome that has an automatically leveling jack. Secure your wheel chocks. Make sure you set them on either side of the wheel, as this will stop the RV from rolling either forward or backward. If you have a towable RV, unhitch the vehicle from the tow and lower the jack until the RV is level. Extend stabilizer jacks to ensure that they are snugly attached, but not supporting the weight of the RV. If applicable, connect your RV to power. Use an adapter with an easy-to-grip handle. It is also advisable to use a surge protector. If applicable, connect to water. Use a water regulator and filter. If applicable, connect to sewer. Ensure that your connections are running downhill from the RV and are secure. For the water heater, light the pilot and open the propane. It may take a minute for the propane to reach the light, so be patient. Depending on your particular RV set up requirements, there will likely be other steps to add to this list, but it is wise to have it all written out before you set up camp. 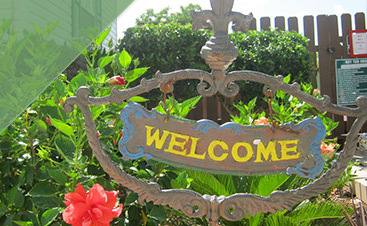 If you are looking for an RV park in Louisiana, come on down to Frog City! 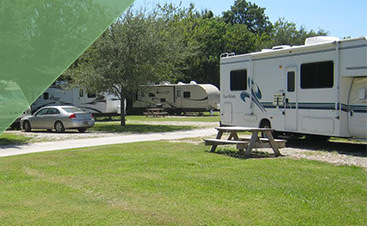 We offer a variety of amenities at our RV park in Lafayette. Book a spot today!